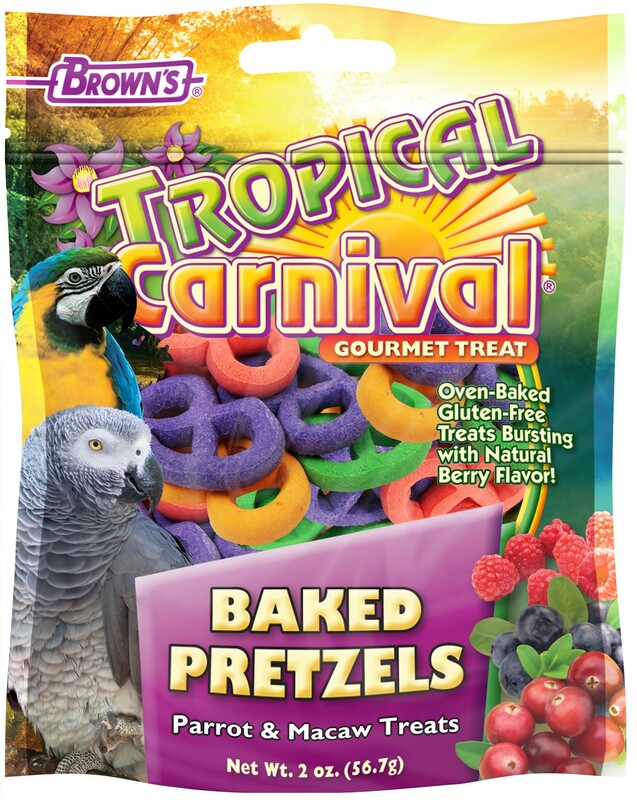 A fun and interactive treat for parrots, cockatoos, macaws and other large hookbills! 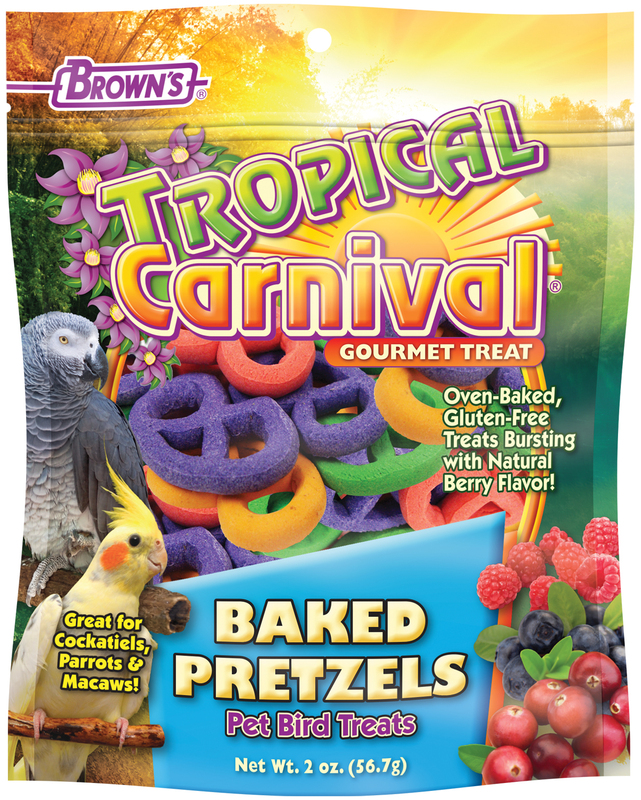 Brown's® Tropical Carnival® Baked Pretzels Parrot & Macaw Treats are a fun and interactive treat for parrots, cockatoos, macaws and other large hookbills. 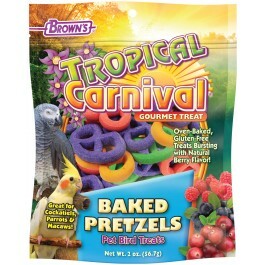 Baked Pretzels are easy for birds to grasp and hold, making feeding time fun & exciting. 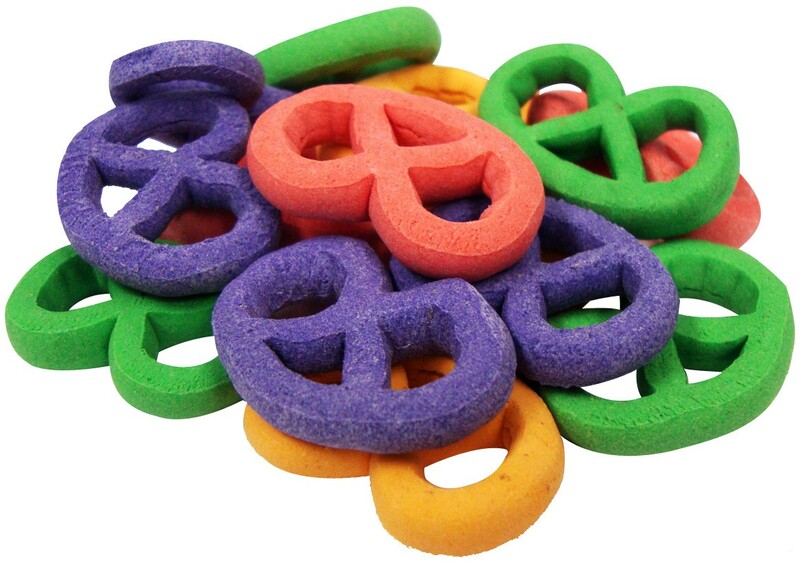 They're a great chewing treat for beak and gum health. Corn Flour, Corn Starch, Full Fatted Soy Flour, Tapioca Starch, Glucose Syrup, Palm Oil, Calcium Carbonate, Xanthan Gum, Baking Powder, Brewers Dried Yeast, Natural Berry Flavors, Colors Added (Red 40, Yellow 5, Yellow 6, Blue 1).